Shopping is a favorite activity of many people. Strolling through shopping malls, in one store and out the other. Clothes, shoes, buying things that make you happy. Spending money, having lunch, being together with your partner, family member or friend. It can be wonderful! Once home, the tired feet are put up and the purchases reviewed. You enjoy it once again. Shopping and buying new things is fun. Everyone enjoys it. It’s another story, however, when shopping gets out of hand. When it’s no longer about buying things because you need them but for something else, such as being comforted. If it gets even more out of hand, you spend more money than necessary and have a house full of unnecessary things. And that’s what you call a ‘shopping addiction’. 1. Your bank account shows that you are spending a lot of money and you regularly have an overdraft. 2. You hide new purchases and don’t show them to others. 3. You’ve got things in your home with the tags still on them because you don’t use them. 4. You deny that you are addicted to shopping even though other people say you’ve got a hole in your pocket. 1. Presents = love. Did you often receive presents as a child? Did you go to stores with your mother and get anything and everything? Did your mother like to go shopping often? Did she pay a lot of attention to you then? Was this the only time when she was cheerful? This can be the source of one of the reasons. 2. Comfort buying. How was your sadness comforted? 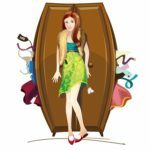 Was there attention for your grief? Could you talk about it? Or was something given to you, something bought for you? Did you get presents? What do you do now when you feel sad? 3. Bad self-image. How is your self-image? Do you like yourself? Or do you feel inferior, uncertain? If you feel uncertain or inferior, it’s possible that you are trying to compensate for it by buying new things to give yourself more prestige or enhance your appearance. Sometimes the contact with salespeople is important to you because they always give you kind attention. How does the MIR-Method work with shopping addiction? 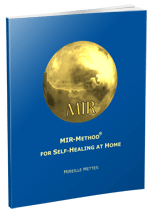 One of the most commonly heard testimonials about the MIR-Method is that someone’s gained more self-confidence. This happens through step 4: ‘Clear meridians’, through which the Spleen meridian, in particular, ensures the strengthening of one’s self-worth. Step 7: ‘Fulfill basic needs’ helps you greatly by strengthening your feeling of comfort. Imagine that you were not comforted much as a child, and your bucket remained almost empty. By doing the MIR-Method, you slowly fill that bucket up again. You don’t need to receive comfort from your father or mother anymore; you can comfort yourself. The child’s deep-rooted need for comfort disappears. And step 8: ‘Optimize chakras and aura’ causes chakras 1 and 3 to become strong. Chakra 1 is for your basic sense of security and the feeling that you have the right to be here. Chakra 3 is for your determination so you remain true to what you want and how you want it. Even though I’ve only mentioned a few of the 9 steps, always do all 9 steps and, in this case, the extra sentence at the beginning! And how about you? Have you noticed that you don’t go “comfort-buying” when sad? Is that because of the MIR-Method? I’d love to hear about it! Thank you! My wish for you is that your shopping addiction disappears out of your life forever!